The injection molded shells minimizes the ankle rotation without restricting plantar. There are 2 pre-inflated chambers of full length that are also lined with soft foam that helps reduces swelling, increases circulation, gives comfort by preventing any kind of skin irritation. The heel pad made up of soft foam gives a proper fit and is easy to adjust. 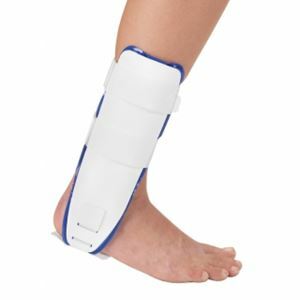 Surround Air Ankle is best suited for ankle sprains and chronic instability.